We are pleased to welcome the following new Chamber members; Grass Tenders/ Don Kirkpatrick 310-0132, I Can Help- Handy Man Service/ Fred Foulk 257-6523, D & L Studios (photography)/ Doug Hall 250-3398, Still Point Medicine/ Janelle Perez 825-3340, Cruise N’ Games/ Thomas Herrera 249-0186, and HV Trailer Parts/ Alan Schumacher 775-722-1896. Calchamber notified us at the end of January that the California Department of Fair Employment and Housing (DFEH) released mandatory updates to its “California Law Prohibits Workplace Discrimination and Harassment” notice, relating to the expanded harassment education and training requirements of SB 1343 which took effect January 1, 2019. As a result, labor law posters will need to be updated. If you purchased a 2019 Labor Law Poster from us we have replacements posters, at no charge, available to update your 2019 Labor Law poster. 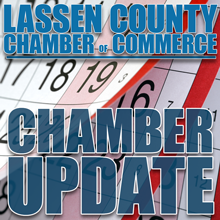 If you have any questions contact us at the Chamber by calling 257-4323. The Lassen College Scholarship Benefit Concert & Dance, featuring Louis Price & Kenny Polson, will be held Thursday, Feb. 28, 2019, 6-9:30pm, doors open at 5:30pm. Tickets are $30 per person and can be purchased at the Chamber office. Mark your calendar and plan to attend the annual Lassen County Cattlemen and Cattlewomen “A Taste of Beef, A Sip of Wine” event that will be held on Saturday, March 2nd, at the Susanville Elks Lodge, from 5:30-8:30pm. Presale tickets can be purchased at the Chamber office. Thank you to those members who have already sent in your membership renewal, your continued support and membership is appreciated. 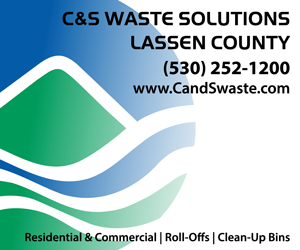 Your investment makes possible the many Chamber services and events that promote your business, tourism, and relocation into Lassen County. Remember that your Chamber membership is tax deductible as a ‘necessary business expense’. 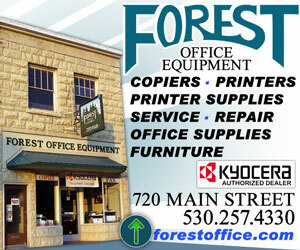 If you are not a member but would like to join contact the office staff at 257-4323.